Her Dream. : Meet up with BFFs! We had our dinner at Little Break Cafe, which is located around Kepong Baru area. The environment of the cafe is pretty good, warm lightning, and the most important thing is, the food is delicious and filing! Overall, the food is pretty good, fair portion and reasonable price. Definitely, a place to re-visit in future! :) Check out the photos we took there! 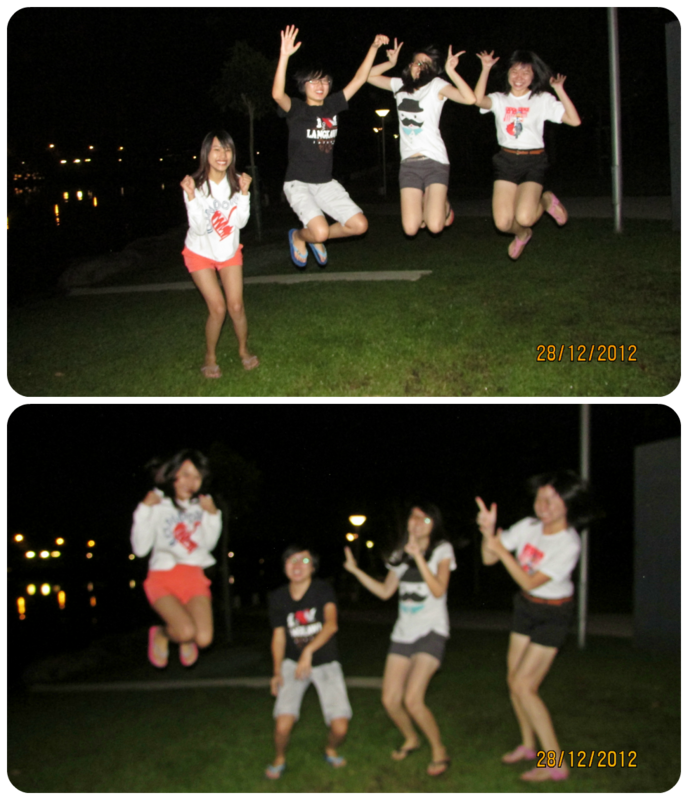 After dinner, we went to DPC, our usual hang-out spot. The usual place for us to chit-chat, share our secrets, and take photos! The first thing we saw when we reached there was, couples! Couples are everywhere weyyy! I guess DPC is the hot spot for dating eh? Tapao 'xiu gai yek' there! It was my first time eating this type of fried chicken wings actually. LOL! What a nice place to chill! My best and the best BFFs! A photo together after so long! From left : Carmen, yours truly, Lyn, Pearly and LingSze. Since we got nothing else to chat, we talked about muscles. In the end, we were comparing each other muscles. Haha! Last photo to end my post. Lyn was a bit, slow? When we all jump, she stays. When we stays, she jump. LOL! I miss my old Polaroid camera. The demand for them is almost nothing in the age of digital cameras.